Employing a plumber or gas safety engineer to annually or routinely maintain your central heating boiler is something you should do cautiously, because if you hire someone who’s not properly qualified, the results could be lethal. There have been numerous scare-stories up and down the country recently which illustrate the perils of not employing a competent and reputable engineer to maintain and service your gas boiler. Take Miss Bowden from Borehamwood for instance. A mother who found that her boiler was leaking deadly carbon monoxide gas just months after a gas safety inspection had given the boiler an all-clear. Eight families in the neighbourhood were evacuated as a result. Even more scary is the fact that the construction company who built the property in the first place some five years earlier, admitted that the gas flues were faulty, which means that the residents had probably been exposed to low levels of carbon monoxide for several years. Miss Bowden had nevertheless been told by a heating inspector that her boiler was safe and she even received a certificate to prove it. When the leak was reported she and her daughter were given just five minutes notice to leave the house. This isn’t surprising given the level of danger from carbon monoxide (CO). First of all, it is odourless, colourless, tasteless and virtually non-irritating, and so is very difficult to detect without a special CO alarm. Mild poisoning can cause light headedness, confusion, headaches, vertigo and flu-like symptoms. Longer exposure can result in poisoning of the central nervous system and heart and death. It is also dangerous to unborn foetuses and thus can threaten pregnancies. Since the leak the neighbours have had their flues re-fitted but Miss Bowden is still waiting and thus does not have any heating or hot water. John Sloan from Carluke in South Lanarkshire, Scotland, had his boiler installed by engineers employed by South Lanarkshire Council under a boiler replacement scheme. He claims the boiler was faulty as he smelled the gas as soon as he returned home from work. They continued to smell the gas over a period of three weeks but didn’t do anything about it as their initial concerns had been dismissed by the council who seemed to believe that their workmen wouldn’t install a faulty boiler. His partner was getting headaches and feeling tired all the time, which is the classic symptoms of carbon monoxide poisoning. By law all gas engineers must now be entered on the Gas Safety Register and they should all therefore carry a Gas Safe ID card. The back of the card should carry details of the engineer’s qualifications and this should be checked as not all engineers are registered to do the same level of work. 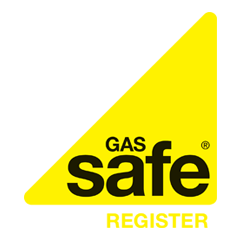 You can also check the engineer’s licence by calling 0800 408 5500, at gassaferegister.co.uk or by texting ‘gas’ then the licence number to 85080.